While beauty launches are an everyday occurrence I'm not often that excited about multiple product launches at any one time. But it seems September is the month for them! So I thought I'd indulge myself and simply talk new makeup with you today, from new to the UK skincare to a grown-up Disney makeup collab (finally!). But be warned... it's a little eyeshadow palette heavy! Every year around September Too Faced come out with a Holiday collection which if I'm honest never really peaks my interest, even though I'm a huge fan of the brand. The reason for this? Their limited edition palettes are made of cardboard! While this isn't such a big deal I personally don't want to pay the same price for a cardboard palette when I could purchase an existing metal tin packaged palette which is simply much more robust and better quality. 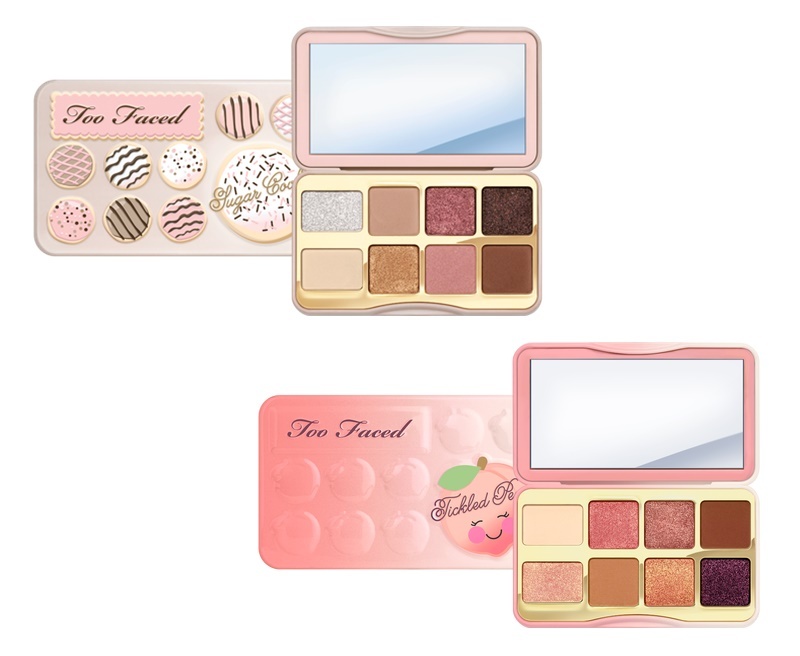 That being said the makeup gods must have been listening as the new Too Faced Holiday Collection 2018 consists of not one but three proper eyeshadow palettes - Gingerbread Spice Eyeshadow Palette (full size £39), Sugar Cookie Eyeshadow Palette (travel size £22) and Tickled Peach (travel size £22) - available October in the UK. Initially, I got very excited about the Gingerbread Spice palette, I mean that shade range! Plus it's giving me Anastasia Bevelery Hills Modern Rennaisance vibes. 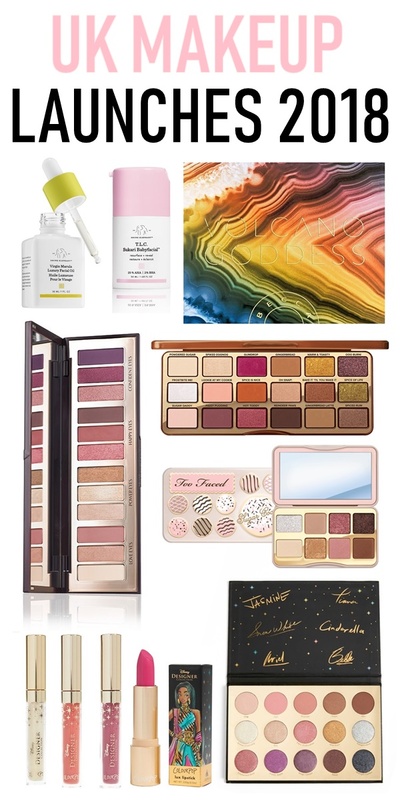 But then my eyes fell upon the mini and oh so sweet Sugar Cookie eyeshadow palette and for one, why wouldn't I want my eyeshadow to smell like freshly-baked cookies? And two, I know I will get a lot of use out of all the eyeshadow. Basically, it's on my to-buy list once it launches on Cult Beauty or Debenhams! Side note - I highly recommend Too Faced eyeshadow palettes in general, they are a staple in my makeup collection! Meet the fastest growing skin care brand in Sephora's history! And the brand you're most likely to see on your IG grid right now. Drunk Elephant has been pretty much having a 'moment' since its launch back in 2015! While I don't know much about this skincare brand (yet!) I do know it's main focus is non-toxic yet highly effective skincare so any ingredient that doesn't benefit the skin don't exist in Drunk Elephant's lineup - no fragrance, no silicone, no sulphates and so on. 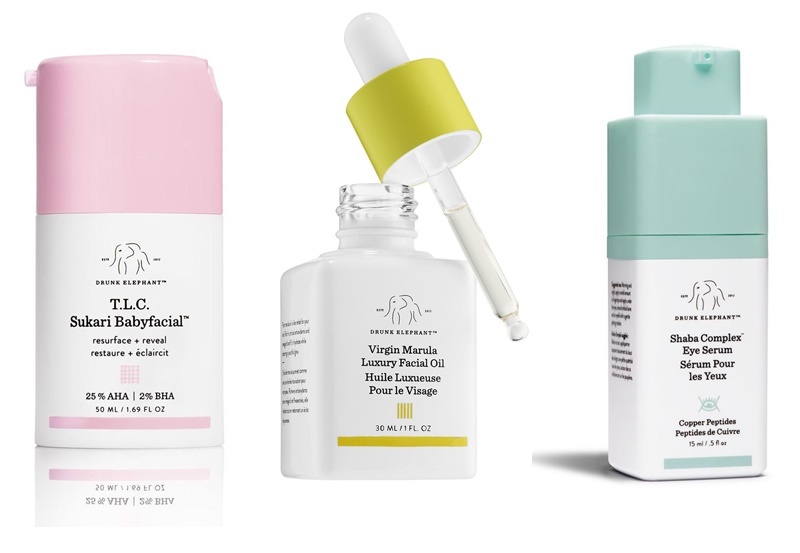 Much like the launch of Kate Sommerville skincare (their spot treatment is THE BEST) to the UK earlier this year many skincare gurus are already fans of Drunk Elephant, Caroline Hirons and Renee from Gothamista to name buy a few. So this is certainly a launch to look at once it launches next month if you're serious about skincare. Available from October 3rd from Cult Beauty and Space NK. Next up a seriously lust-worthy palette launch from Becca. This 12-pan collection stars ultra-matte, shimmer and molten metallic finishes with a volcanic rock theme to both the shade range and packaging making it one of the prettiest palettes around for a/w 2018. Having tried a previous limited edition Becca palette and experiencing the almost weightless formula Becca seem to create with their stunning pigmented eyeshadows this jewel-toned palette has me excited. I just know endless smouldering looks could be created with these shades. What a stunning palette! I'm really expecting this to be a sell-out launch! 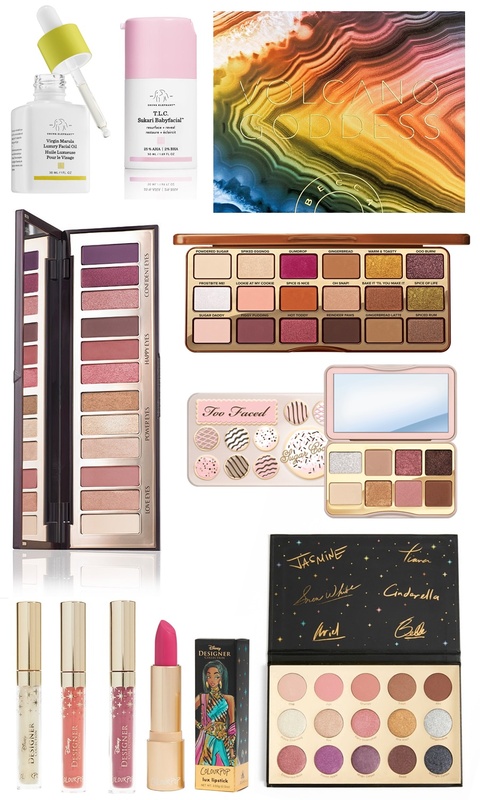 While Disney meets makeup sounds like a dream for many it was always going to be a fine line between play makeup and chic homage to our princess favourites. 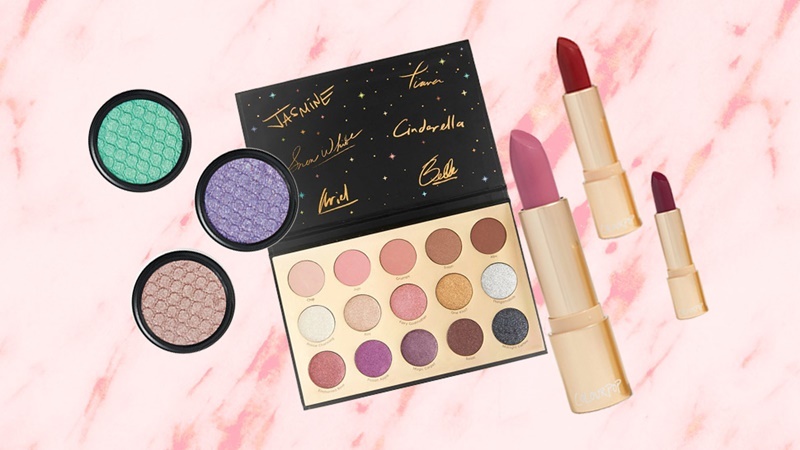 But thankfully Disney picked well when they teamed up with Colourpop to create what looks like a stunning collection for grown-up Disney loving makeup addicts. The Disney Designer Collection will feature a 15-pan eyeshadow palette, six lipsticks, six single eyeshadows, three lip glosses and two highlighters. 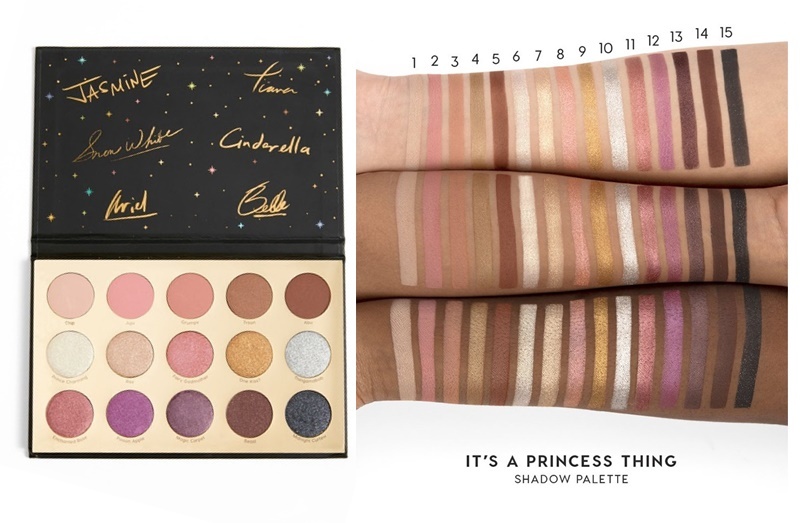 As for prices, it's thankfully Colourpop so the It's a Princess Thing eyeshadow palette will be a budget-friendly $20 - pretty amazing for 15 stunning shades! Talking of the palette it's certainly the star of the show containing an array of soft matte shades along with some seriously swoon-worthy pigmented metallics with names such as 'Chip' 'Thingamabob' and 'Enchanted Rose'. Colourpop have also managed to pull off each Disney princesses autograph without it looking tacky. Truly a stunning palette and well thought out collection here. Available from 28th September from Colourpop here - Free UK shipping over $50 with vat and custom fees now included at checkout! Roughly $10 for every $50 spent. Lastly, possibly the most exciting and unexpected launch of September - Charlotte Tilbury's second limited edition eyeshadow palette launch perfect for Christmas 2018! 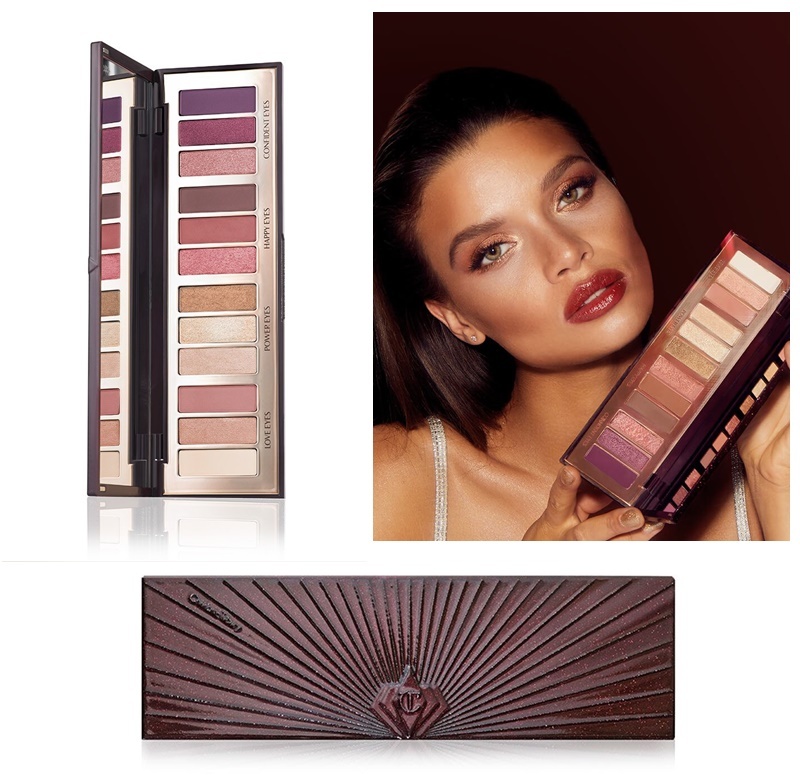 Available exclusively at Charlotte Tilbury and limited to one palette per customer this is certainly a thing of dreams. With 4 magical, mood-enhancing eye looks to inspire Love, Power, Happiness and Confidence, this 12 pan palette is designed to give flawless looking makeup looks whatever your mood or occasion. While I'm beyond tempted to pick this palette up (I'm Charlotte Tilbury obsessed - see here) I fear I may love it too much, leaving all other eyeshadow palettes redundant. Not a bad problem to have but this is an actual real concern of mine?! But looking at the swatches I really think I need it!